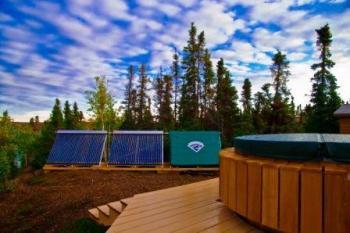 With the increased efficiency of solar vacuum tubes, heating hot tubs has become more and more popular using solar. The basic principle of a solar hot tub is to use the solar collectors during the day to heat the tub. In the evening you may find you will still need and auxiliary heater. We always recommend using keeping your existing heater and running the solar on a secondary loop. 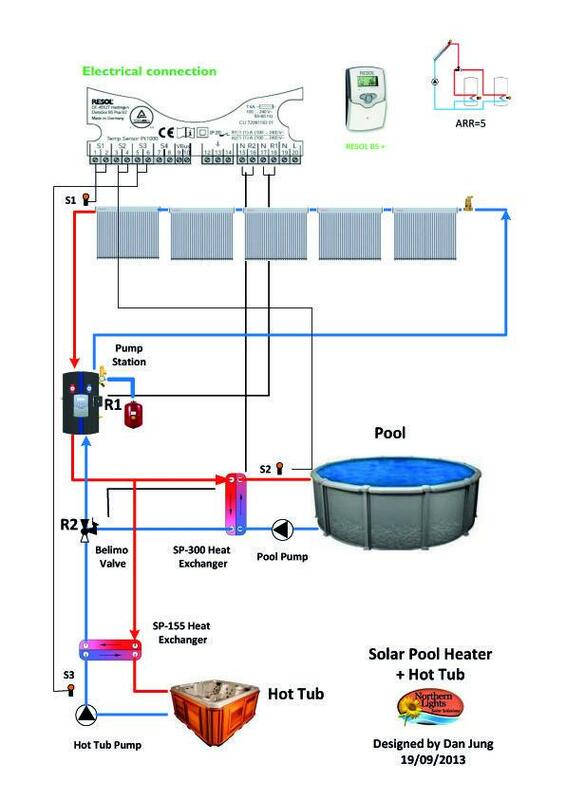 If you are are in a warmer climate or using your hot tub in non freezing conditions, then you can run an open vacuum tube system such as the TZ58-1800-40G Pool collector to heat the hot tub. This type of system heats the hot tub water directly. It is best used with our solar PV panel and a solar circulating pump such as the Laing DC-5. 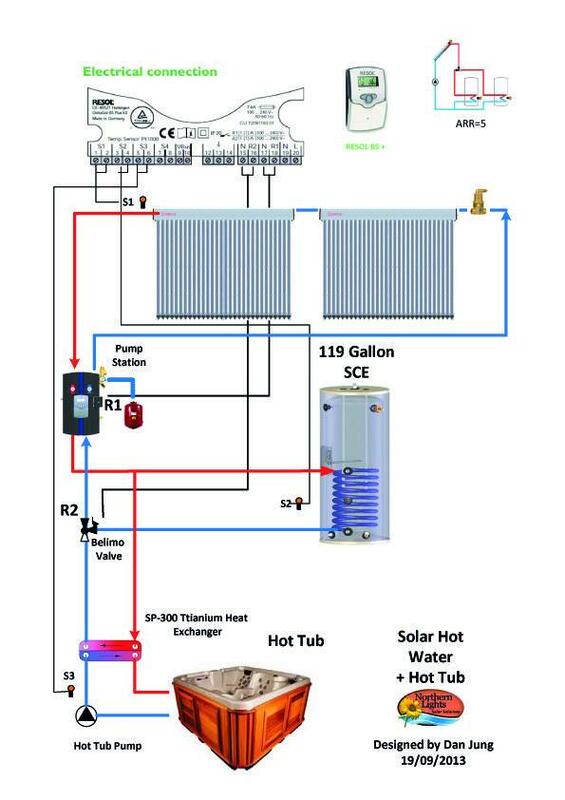 If you intend to heat your hot tub during freezing conditions via solar then you would need a system that uses heat pipe collectors with antifreeze mixture and a heat exchanger that integrates with the existing hot tub circulation system. For the solar loop a DC pump and PV panel can also be used. Alternatively the hot tub could be used as a secondary zone for domestic hot water heating or solar space heating. 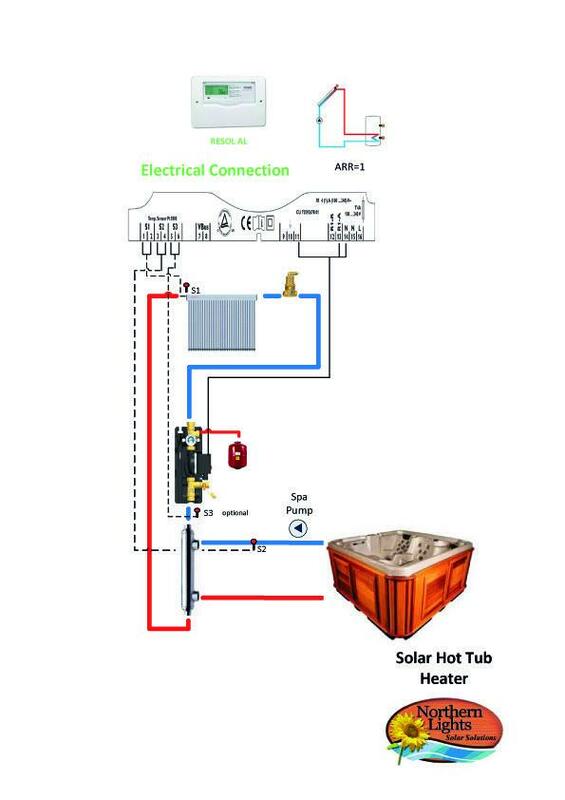 In this way the SDS (Solar Distribution System) will control the heat of the hot tub as well as hot water. A dual zone system allows for maximum use of solar year round! Looking for another way to heat your hot tub? Visit our Sister company at TimberLine Wood Water Stoves for unique wood fired water heaters that use no electricity and require not pumps! These wood fired hot tub heaters are great for off grid applications or to assist you with heating your hot tub or spa. They use a principle called thermosiphon where by water is heated up in the stainless steel double walled water jacket. The hot water rises to the top and out a port into the hot tub. Meanwhile cold water is sucked in through the bottom of the tub to be reheated. Simple, quiet, cost effective! If you are looking for a complete wood fired hot tub then visit our other Sister Company at Northern Lights Solar Tubs for the best real cedar hot tubs that can be heated with wood fired hot tub stoves or other means such as electricity, gas, or using a heat exchanger.